Here you will find a range of general information about Uruguay and about buying property here. If you still have questions, contact us. Buying real estate in Uruguay is no problem whatsoever for people from abroad. There are no restrictions of any kind on investments in real estate, and foreign buyers have the same rights as Uruguayans. All you need to purchase real estate here is a valid passport. You don’t even need to be in Uruguay at the time of purchase. Uruguay is considered the most European country in Latin America and the large majority of the population is of European descent. This is reflected in the country’s customs, ideology and culture. Practically all Uruguayans have a family history of immigration, so newcomers do not particularly stand out and are warmly welcomed everywhere.  Overview of the country – here you will find general information about Uruguay. Uruguay is characterized by a gently rolling landscape, with low hills, criss-crossed by rivers. Thanks to its rich groundwater reserves and temperate climate, this country of green plains offers the ideal conditions for agriculture, livestock raising and forestry. Uruguay has a humid subtropical climate, with at least some precipitation in all seasons. Winters are cool and summers are warm. In the coldest month of the year (July) the average minimum temperature in Montevideo is around 7ºC. Here you will find the answers to important questions: What are the entry requirements for Uruguay? What are the additional costs I will need to pay when buying a property? How much are the monthly expenditures for the owner of a house or land in Uruguay? Here we will let the numbers speak for themselves. The selection of countries chosen for comparison is relatively arbitrary, but will undoubtedly allow for a rather good estimate of the different rankings.